New York resident Jay Brodsky has filed a frivolous class action lawsuit against Apple, alleging that the company's so-called "coercive" policy of not letting customers disable two-factor authentication beyond a two-week grace period is both inconvenient and violates a variety of California laws. The complaint alleges that Brodsky "and millions of similarly situated consumers across the nation have been and continue to suffer harm" and "economic losses" as a result of Apple's "interference with the use of their personal devices and waste of their personal time in using additional time for simple logging in." The complaint is riddled with questionable allegations, however, including that Apple released a software update around September 2015 that enabled two-factor authentication on Brodsky's Apple ID without his knowledge or consent. Apple in fact offers two-factor authentication on an opt-in basis. 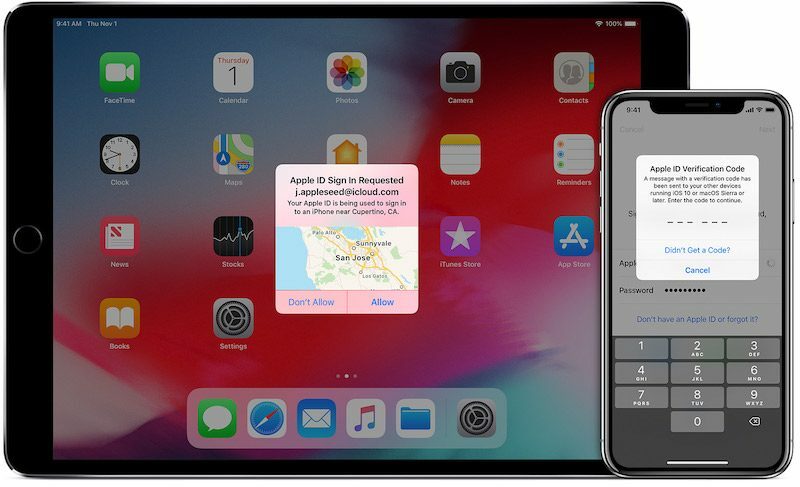 The complaint goes on to allege that Apple's confirmation email for two-factor authentication enrollment containing a "single last line" alerting customers that they have a two-week period to disable the security layer is "insufficient." Brodsky accuses Apple of violating the U.S. Computer Fraud and Abuse Act, California's Invasion of Privacy Act, and other laws. He, on behalf of others similarly situated, is seeking monetary damages as well as a ruling that prevents Apple from "not allowing a user to choose its own logging and security procedure." Read the full document. Yea, it's such a pain having to remember my PIN too. The ATM should just give me money. Seems if people want to disable this and stupidly reduce their personal security, it should be their right. I think this is great, actually. To be clear, I do think two-factor authentication is much more secure (obviously). But I hate that Apple is so determined to force its users into using it. If someone doesn't want it then they have the right to disable it. Plain and simple. Our devices and accounts should be ours to control. While the plaintiff might have some stupid points, I do agree that enabling or disabling two-factor should be the user's choice. Without commenting on the merits of this case, I'd prefer that the MacRumors team not editorialize like this. Leave that to the pundits. Share the facts and leave it at that. I’m just going to sue apple for feature requests now. The phone icon is prejudiced against young people who aren’t familiar with what a telephone looks like. It’s ageist and insensitive. Now give us all three cents for the emotional damage this has caused us. "and millions of similarly situated consumers across the nation have been and continue to suffer harm"
Two-factor authentication is tough, but easily learned to speed use. It is tough, so is driving safely - yet we manage. Lawsuit?